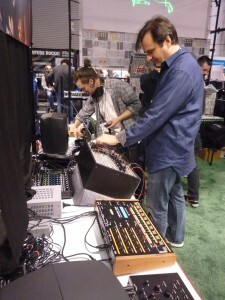 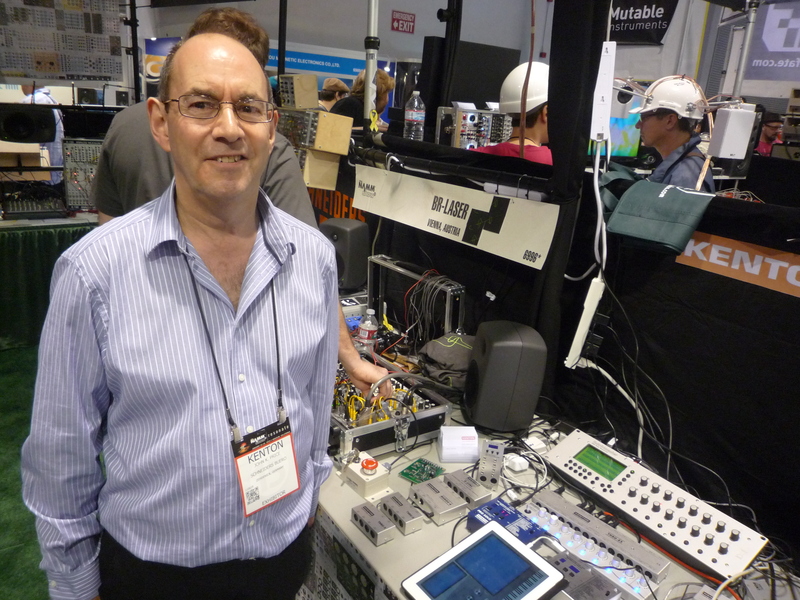 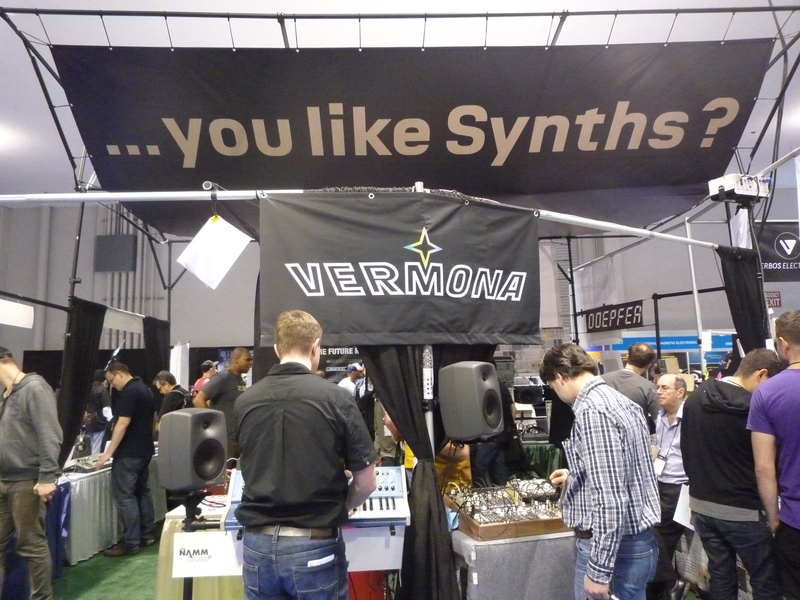 Together with Doepfer, Kenton, JoMoX, BR-Laser, EOWave, Manikin, MFB and Vermona SchneidersBuero made a stand on the NAMM Show in Hall A for the very first time. 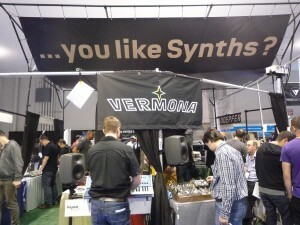 We installed the Banner “You like Synths?” had a few tables and a good time. 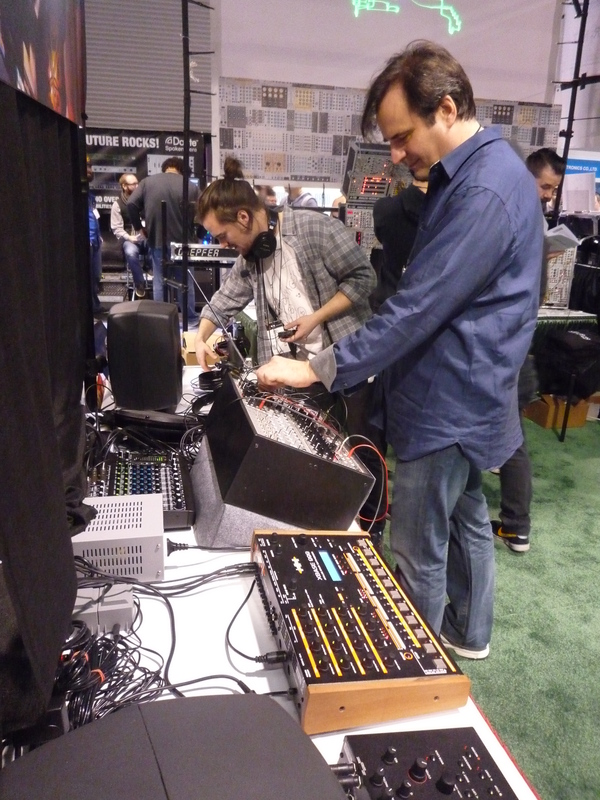 It was a lot of work but not that expensive as expected – all was working easily (as you can see on the lucky face of Mister John Price alias Kenton right hand) and the americans was really nice, thanks to the folks at NAMM again.